There’s nothing like a nice piece of meat. There’s also nothing that spoils a nice piece of meat faster than steak sauce from a bottle. My heart sinks a little when I see a diner dump some brown, store bought sauce onto their steak, completely masking its beautiful flavour. Today I shall try to put the steak sauce massacre to an end, or at least give you a pretty little alternative bursting with flavour. I have a tasty, smoky sauce to spice up your steak that adds flavour to your meat rather than covering it. It’s so simple that I can tell you how to make it in two steps! 1. Set a small frying pan over medium heat. Heat your oil and paprika until the oil shimmers and paprika is fragrant, about 2 to 3 minutes. Remove your pan from heat and let cool. 2. 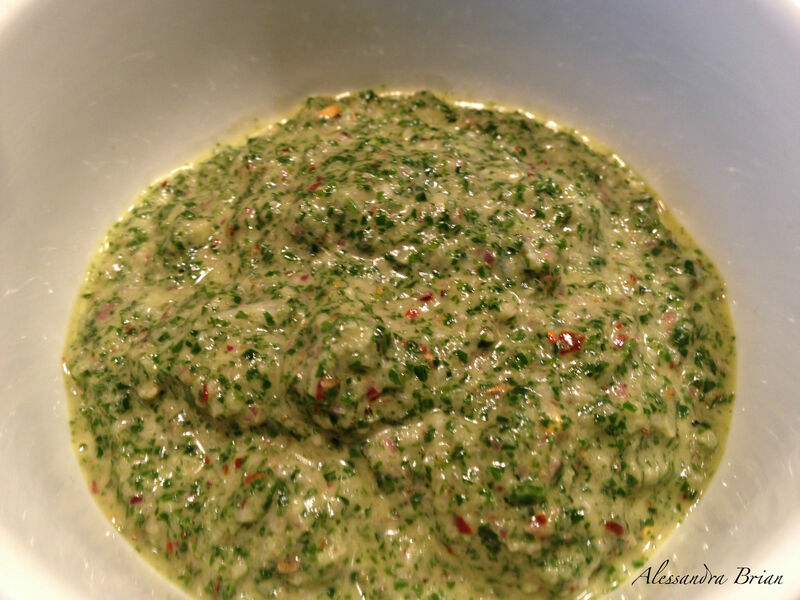 In the bowl of a food processor, combine parsley, oregano, red onion, garlic, and chilli pepper flakes. Pulse your ingredients together, then add vinegar and a dash of sea salt. Continue to pulse and slowly drizzle in cooled oil with the food processor still running. Chop until your sauce is emulsified and chunky. 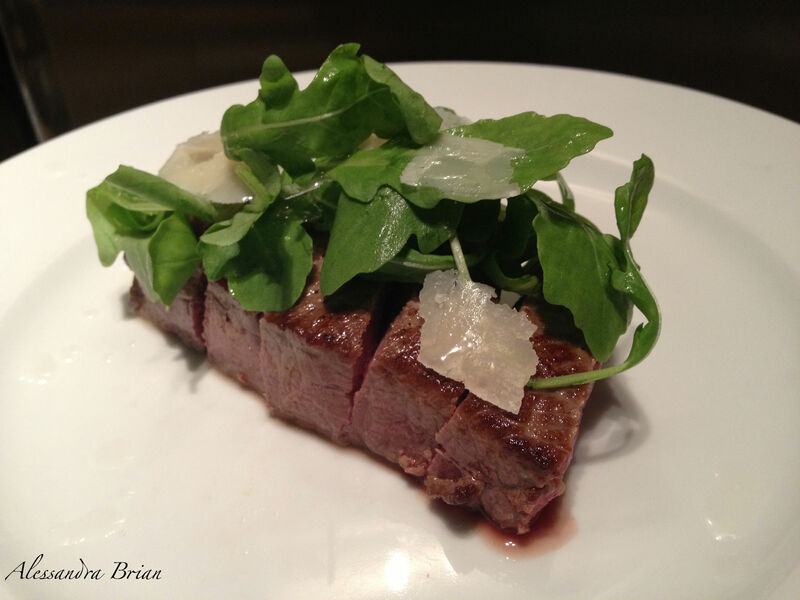 For perfect steak, use Heston’s Perfect Steak Recipe: here. Serve with a generous portion of your Chimichurri sauce and bask in the oohs, aahs and mmms! of your guests. I like the texture and color of the sauce,it looks so appealing! I bet it’s as great as it looks! Perfect presentation of the steak, as well!